Protective hydro-oleo-repellent for cotto, stone, marble, granite, cement agglomerate also not very absorbent laid inside and outside. It does not form superficial films and does not alter the appearance of the material. 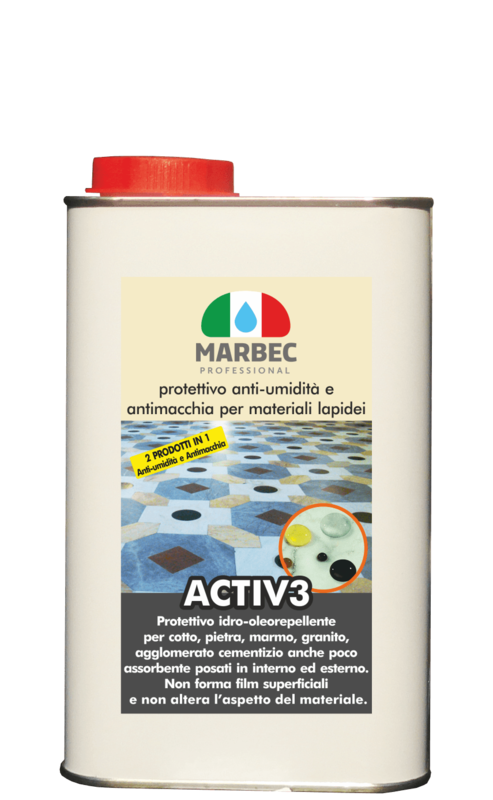 ACTIV3 is a protective anti-humidity and stain-resistant for stone materials: cotto, natural stone, marble, granite and cement agglomerates. maintains the original permeability to water vapor, breathable. the product is used pure, on clean and dry surfaces. It is applied by brush, cloth or fleece spreader, distributing it uniformly on the surface to create a wet “veil”. Plug any excesses during the drying phase. Do not rub strongly to avoid foaming. Any excess product after drying must be removed by massaging the surface with a cloth moistened with ACTIV3. Normally it dries in 3-4 hours depending on the area. • 2 coats on absorbent stone materials and placed outside. The application of the second hand must be done as soon as the first one is dry on the surface. Avoid that the surfaces just treated are exposed to the elements during the drying phase 12-24 hours. • on cotto, stone, grit, cement and other absorbent materials 1lt / 8 – 15 m². 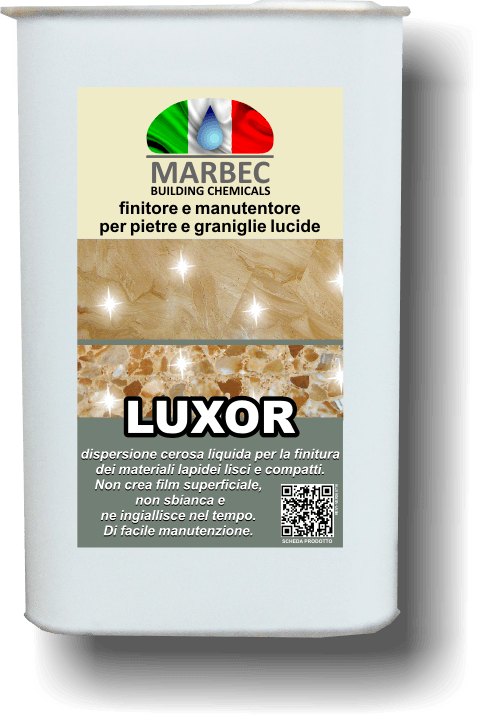 • POLIFIN Anti-wear anti-dirt polished finisher for stone materials.